We’ve heard a lot about Jane Seymour and her life as queen consort to Henry VIII. We’ve learned about how she was the only of his consorts to give him a male heir. We’ve also learned about her social-climbing brothers, Edward and Thomas. Were you aware that Jane had a sister by the name of Elizabeth who also well-known at court? Depending on where you get your information Elizabeth Seymour was either ten years younger than her older sister, Jane or she was the oldest daughter of her parents, John and Margery (neé Wentworth) Seymour, or quite possibly somewhere in between. Regardless, both she and Jane served in the household of Anne Boleyn together. 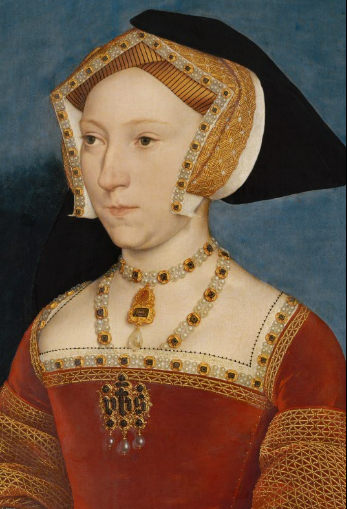 When Jane Seymour became Queen of England her sister was most likely included in her household as a chief lady-in-waiting, however, the Wikipedia page for her states that she was not included in Jane’s household. While the Wikipedia page has lots of primary sources listed that I can verify, it does not for this statement. I cannot understand why Elizabeth would leave court after serving Anne Boleyn and not serve her own sister. So, with that reasoning, let’s just assume she did serve in her sister’s household. Elizabeth also served both Anne of Cleves and Katherine Howard. In total she served four of the six queen consorts of Henry VIII. In January 1531, Elizabeth married Sir Anthony Ughtred, her first husband. 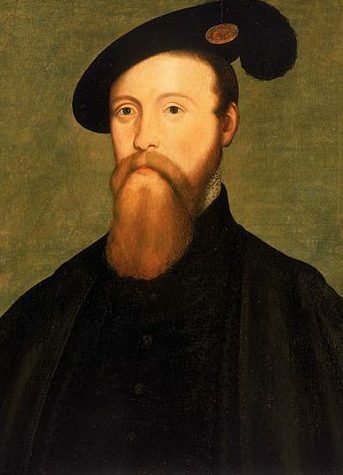 They had a son, Henry (c. 1533) and a daughter born after Sir Anthony died in the fall or winter of 1534. She was named Margery (c.1535). It is unclear what happened to her children, Henry and Margery after Sir Anthony died. After the death of his father and birth of his sister, Margery, Henry, remained on the island for a time, in the care of Helier de Carteret, Bailiff of Jersey. Later, Henry went on to serve Queen Elizabeth I as a member of Parliament. He was also a shipowner and builder. There is no further information on Margery. On 18 March 1537, Elizabeth wrote to Thomas Cromwell to seek his favor in acquiring one of the soon to be dissolved monasteries. After most hearty recommendation, please it you to be so good unto me as through your means I might be holpen to obtain of the king’s grace to be farmer of one of these abbeys, if they fortune to go down; the names whereof I do send unto your lordship herein inclosed. And, as for payment for the same, I trust to discharge as well and surely any living personage. My lord insomuch as my husband, whose soul God pardon, did bear ever unto your lordship both his heart and service, next under the king’s grace, I am therefore the more bolder to write and sue unto you for your good help and furtherance herein; besides that, I do put mine only trust in your lordship for the good expedition hereof, and intend not to sue to none other but only to your lordship. Farther, at my last being at the court I desired your lordship that I might be so bold as to be a suitor to you, at which time your lordship gave unto me a very good answer; praying you so to continue my good lord. I was, in master Ughtred’s days, in a poor house of mine own, and ever since have been driven to be a sojourner, because my living is not able to welcome my friends, which for my husband’s sake and mine own would sometime come and see me. Wherefore, if it please your lordship now to help me, so that I might be able to keep some poor port, after my degree, in mine own house, now being a poor woman alone, I were the most bound unto you that any living woman might be; and more with a little help now, than if you advised me to bound to thing of a thousand marks a year. And for the same eftsoons I heartily desire your good lordship; desiring you farther to give credence to master Darcy concerning such causes as he shall move unto you. And thus Almighty Jesu ever preserve your good lordship. 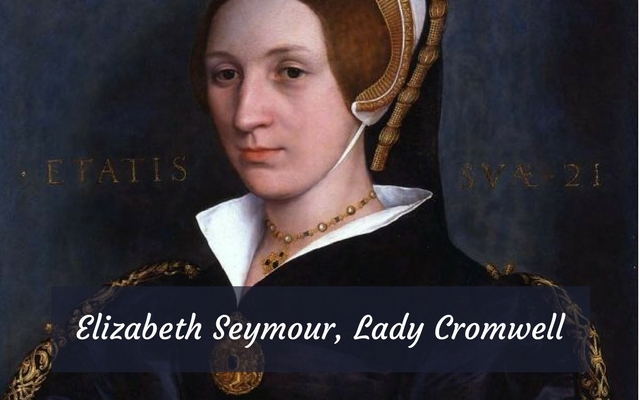 In this letter from Elizabeth to Thomas Cromwell she mentions her boldness in asking to be his suitor – this shocked me because I was unaware of this until finding this letter. I’d love to find out what advice he gave her that she was grateful for. It’s ironic when we discover who she did eventually marry, that she first wished to marry his father. In most humble wise, as your assured poor bead-woman, I cannot render unto your lordship the manifold thanks that I have cause, not only for your great pain taken to devise for my surety and health, but also for your liberal token to me, sent by your servant master Worsley; and farther, which doth comfort me most in the world, that I find your lordship is contented with me, and that you will be my good lord and father: the wish, I trust, never to deserve other, but rather to give cause for the continuance of the same. Pleaseth it your lordship, because I would make unto you some direct answer, I have been so bold to be thus longere I have written unto you. And where it hath pleased your lordship as well to put me in choice of your own houses as others, I must humbly thank you; and, to eschew all sayings, I am very loth to change the place where I now am, and where my lord my brother’s house shall remove, the which, if such need be, shall be at one Ambrose Wellose, a quarter of a mile from your lordship’s place, as master Worsley can inform your lordship’s place, as master Worsley can inform your lordship more plainly thereof. And where it hath please your lordship to give me leave, and also commandeth me, if I want to send to you , and that I may be bold to open my heart, I ensure your lordship my heart hath been a great time in such trust; and now this letter from you, with that I find in it, doth me more pleasure than earthly good, for my trust is now only in you, and if I have need I shall obey your lordship’s commandment herein. And thus I shall daily pray unto God for the preservation of your lordship most prosperously in health to continue. Amen. On 3 August 1537, Elizabeth married Gregory Cromwell, son of Thomas Cromwell at Mortlake. Prior to the wedding Elizabeth resided at Cromwell’s Leeds Castle in Kent where she was supported at the expense of Thomas Cromwell. Writes to know how he has fared since the writer’s departure. Wishes Cromwell were with him, when he should have had the best sport with bow, hounds, and hawks. Master Lister has brought such hounds as are loth to diminish his game and his hawks favour the partridges. Cromwell has one friend here, Mr. Edgar, who seldom forgets him. Mr. Penison also is here, who says the King promised his wife a jointure when he married. I beg you therefore to put him in the book if the King distribute any of the forfeited lands in the North. I also beg your favour for my chaplain. Wulfhaull, 2 Sept. The couple went on to have five children together. 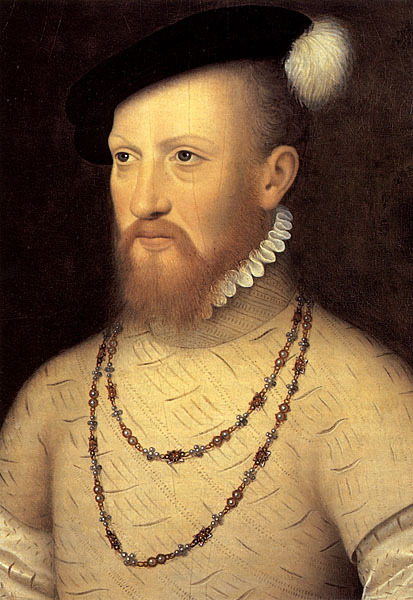 As Edward Seymour had wished, their first child was a son, Henry, born in 1538. Then another son, Edward born in 1539. Their third child was yet another son, Thomas, born in 1540 and then two daughters, Catherine (1541) and Frances (1544). One could assume the first son, Henry was named after the king and that both Edward and Thomas were named for Elizabeth’s brothers. However, Edward could have also been named for her nephew, Prince Edward and Thomas after her father-in-law, Thomas Cromwell. Since their daughter Catherine was born in 1541 during the reign of Catherine Howard I can assume she was named for the queen. Frances, on the other-hand, I cannot find a connection to any person in their families. When Elizabeth’s sister, Jane died in October 1537, both Elizabeth and her husband Gregory participated in the funeral procession. Gregory along with his cousin Richard Cromwell carried banners. In January 1539, after Thomas Cromwell was named Constable of Leeds Castle, Gregory, Elizabeth and as far as I know, their children moved into the castle. ...I am, thanks be to God, in good health, trusting shortly to hear from you like news, as well of yourself as also my little boys, of whose increase and towardness be you assured I am not a little desirous to be advertised. And thus, not having any other news to write, I bid you most heartily well to far. At Calais, the 9th of December. Not long after Anne of Cleves’ arrival in England, Elizabeth was appointed to her household, and in April 1540, Gregory obtained his father’s title, Lord Cromwell when his father was raised to Earl of Essex. 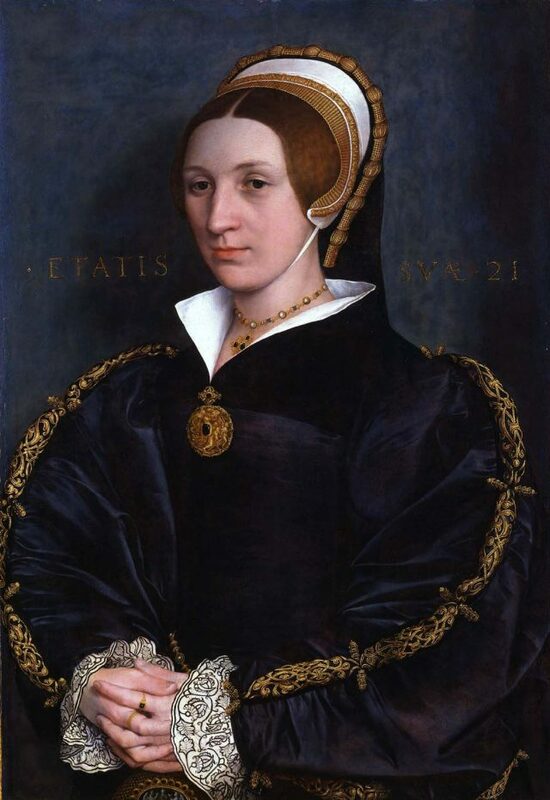 Elizabeth remained at court in the household of Katherine Howard during her short reign as well. 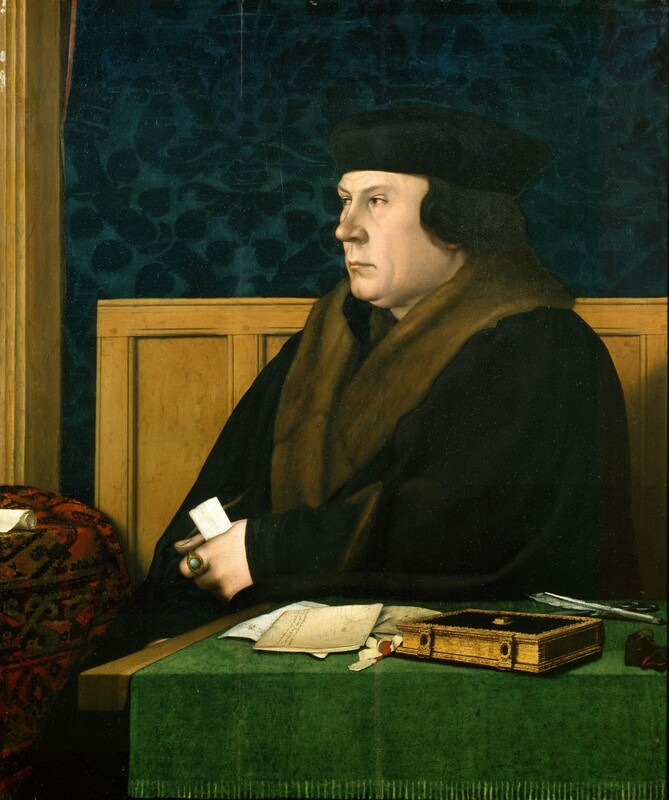 Sometime after the arrest of Thomas Cromwell in June 1540, Elizabeth wrote a letter to Henry VIII. She thanks him for sparing them (George, herself & their family) during the downfall of her father-in-law. After the bounden duty of my most humble submission unto your excellent majesty, whereas it hath pleased the same, of your mere mercy and infinite goodness, notwithstanding the heinous trespasses and most grievous offences of my father-in-law, yet so graciously to extend your benign pity towards my poor husband and me, as the extreme indigence and poverty wherewith my said father-in-law’s most detestable offences hath oppressed us, is thereby right much holpen and relieved, like as I have a long time been right desirous presently as well to render most humble thanks, as also to desire continuance of the same your highness’ most benign goodness. So, considering your grace’s most high and weighty affairs at this present, fear of molesting or being troublesome unto your highness hath dissuaded me as yet otherwise to sue unto your grace than alonely by these my most humble letters, until your grace’s said affairs shall be partly overpast. Most humbly beseeching your majesty in the mean season mercifully to accept this my most obedient suit, and to extend your accustomed pity and gracious goodness towards my said poor husband and me, who never hath, nor, God willing, never shall offend your majesty, but continually pray for the prosperous estate of the same long time to remain and continue. In February 1549, Elizabeth’s brother, Thomas Seymour found himself in a heap of trouble when the council officially accused him of thirty-three charges of treason. He was convicted of treason, and executed on 20 March 1549. 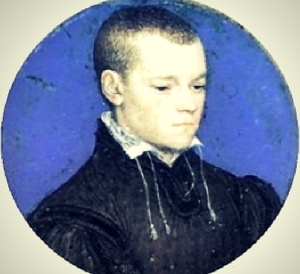 On 4 July 1551, Gregory Cromwell died suddenly of the sweating sickness at his home in Launde Abbey. Elizabeth also fell ill at the same time but survived her illness. In addition, that year also marked the arrest and execution of her brother, Edward Seymour – Elizabeth was given charge of his daughters. In the spring of 1554, Elizabeth married for the third time to John Paulet, Baron St John. They had no children. She was buried in St. Mary’s Church in Hampshire. College of Arms (1829) [S. and R. Bentley, London, 1829].Catalogue of the Arundel Manuscripts in the Library of the College of Arms. William Henry Black. With a preface signed C.G.Y., i.e. Sir Charles George Young. Rarebooksclub.com (published 20 May 2012). ISBN 9781236284259. Douglas Richardson; Kimball G. Everingham (2005). Magna Carta Ancestry: A Study in Colonial and Medieval Families. Genealogical Publishing Company. pg 246. ISBN 0-8063-1759-0. Why do the experts believe that this is now the portrait of Elizabeth Seymour? I don’t see that the woman resembles any of the Seymours. To be honest, I struggle to see a resemblance as well. I’ve read in a couple places that she’s wearing widow’s clothing, so it cannot be Katherine Howard and it apparently fits the age Elizabeth would have been as a widow – possibly after her first husband. I’m sure some day the truth will come out. Until then we can say it is not Katherine Howard and is possibly Elizabeth Seymour. Are those the only details of her marriage to John Paulet, Baron St. John? How did Sir Anthony Ughtred die? That was a very short marriage. I didn’t find much on either of those marriages, but to be honest, since I titled the article “Lady Cromwell” my focus was that marriage. In addition, what I did find on those marriages was not interesting enough to share in the article. If you do a quick Google search on either man you’ll find some information. Thanks so much for reading! Of coarse, I would read. There is not much information on Elizabeth Seymour and she seems to have been a fascinating person in that time period. I have always been interested in her. There was also another sister, was there not? The Lady Dorothy Seymour?! Do you know anything about her? Easy to read article. Thank you for more information in my head about this family. Interesting to hear about the lesser known figure at court . What a roller coaster ride the relatives of the main players had at court . Their association doesn’t always make for an easier life . I can sort of see a resemblance between the sisters with the straight nose . What did their parents look like maybe she favoured one of them ? Very interesting article. I would love to know more. Amazing the amount of courtiers that I don’t know about from the period who lead very interesting lives. I believe her reference to being Thomas Cromwell’s “suitor” refers to the fact that she was asking his assistance. I doubt that it indicates she was courting him. I loved your article and shall keep it filed as I wrote The Woman in the Shadows about Thomas Cromwell’s wife ( best – selling . Accent Press 2017) and I have a novel in mind re this Elizabeth too. I have also been shown around the manor called Wolf Hall near Marlborough which may be of interest . They will have an open day in August or September. Thank you, Carol! I actually purchased your book a bit ago and it’s sitting in my TBR pile – cannot wait to read it. I’m in the U.S. but truly wish some day to travel to England to see all the amazing places where this intriguing history took place. Thanks for including my Lists of Women at the Tudor Court (part of A Who’s Who of Tudor Women) but the link needs to be changed to http://www.TudorWomen.com.